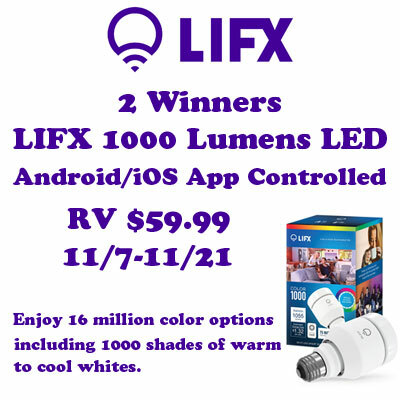 Find your color with the brightest, easiest, most versatile, energy efficient LED smart bulb. Enjoy 16 million color options including 1000 shades of warm to cool whites. What are like most about these bulbs are the energy efficiency and I love that there are so many color choices and levels of brightness. I would love to try them they sound fabulous! I really like the 16 million color options including 1000 shades of warm to cool whites! I love that you can control it from your phone!